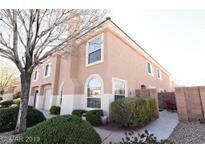 Below you can view all the townhouses for sale in the Bermuda & Pyle subdivision located in Las Vegas Nevada. Listings in Bermuda & Pyle are updated daily from data we receive from the Las Vegas multiple listing service. To learn more about any of these townhouses or to receive custom notifications when a new property is listed for sale in Bermuda & Pyle, give us a call at 702-323-5939. Upgraded Cabinets And Stainless Steel Kitchen Appliances. Hurry And Pick Your Flooring! MLS#2087564. Olympic Realty. Upgraded Cabinets And Stainless Steel Kitchen Appliances. Hurry And Pick Your Flooring! 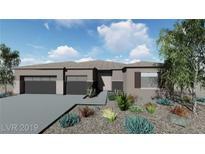 MLS#2087588. Olympic Realty. You couldn't ask for a better location. HOA includes yard maintenance MLS#2083471. TR Realty. Upgraded Cabinets And Stainless Steel Kitchen Appliances. Hurry And Pick Your Flooring! MLS#2077694. Olympic Realty. Upgraded Cabinets And Stainless Steel Kitchen Appliances. Hurry And Pick Your Flooring! MLS#2077323. Olympic Realty. has private garage with entry to unit so no need to go outside. private patio MLS#2053470. Holly Realty. Fabulous corner unit in a great location with Community maintained landscaping. MLS#2027243. BHHS Nevada Properties.